Researchers looking into the recent GRU arrests have uncovered a trove of information because sloppy Russian spycraft. Speculation already is that GRU is severely breached. In the course of researching the authenticity of the personal data of the four individuals, Bellingcat was able to locate one of the four GRU officers identified by the MIVD in a Russian automobile ownership database. 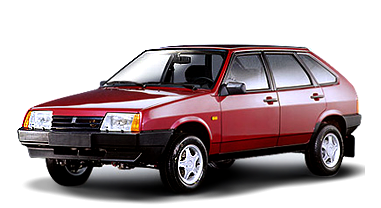 As of 2011, Alexey Morenets was the registered user and/or owner of a Lada (VAZ 21093) car. […] By searching for other vehicles registered to the same address, Bellingcat was able to produce a list of 305 individuals who operated cars registered to the same address. […] The database contains their full names and passport numbers, as well as — in most cases — mobile telephone numbers. That’s a GRU-some breach with a LADA data! I used to give talks about medical data (zipcodes of doctors) being connected in this way to de-anonymize people using big data. This new example is superior in so many ways, not least of all because it highlights Russian experts at actively poisoning information, let alone people, haphazardly failing at their own game.